Memorial Day, such an important day in America. It’s a day to give thanks, pay tribute, and to remember those who have given their lives to protect our country. In reality, we should be thankful every single day of the year, but Memorial Day is the official day where we all come together to honor our fallen soldiers. I say thank you to all who are serving and all who have served, thank you! 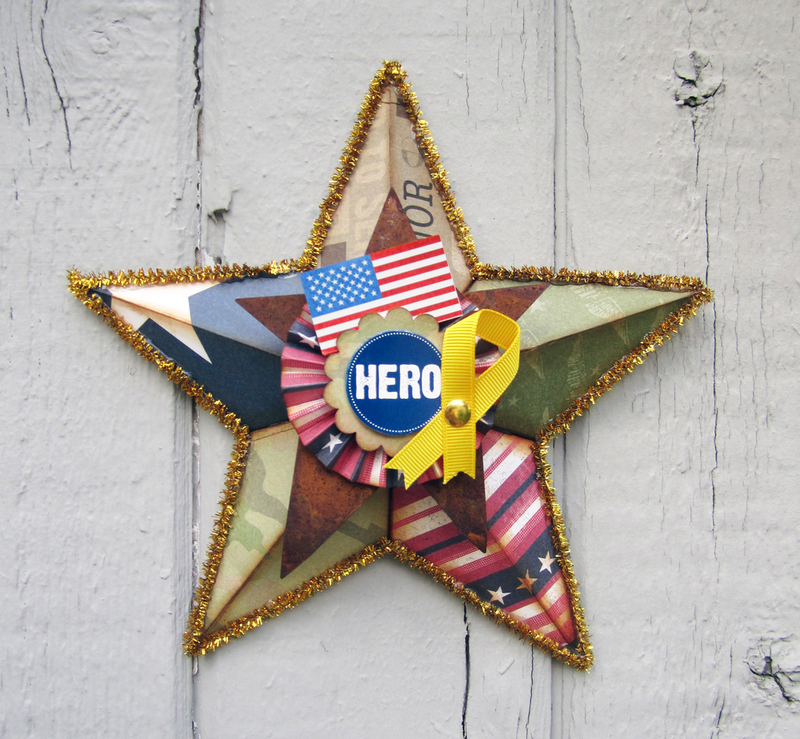 This Hero Star was decorated with our mambiKIT™. The star is cardboard and covered in paper from the kit and some embellishments added. Super cute and a great way to decorate for Memorial Day and 4th of July.